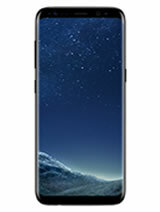 According to test reports filed with the Federal Communications Commission (FCC), the Specific Absorption Rate (SAR) for the Samsung Galaxy S8 is 0.38 watts per kilogram (w/kg) at your head, and 0.75 w/kg when worn on your body. 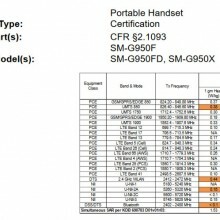 The Samsung Galaxy S8 hotspot SAR is 1.09 w/kg. 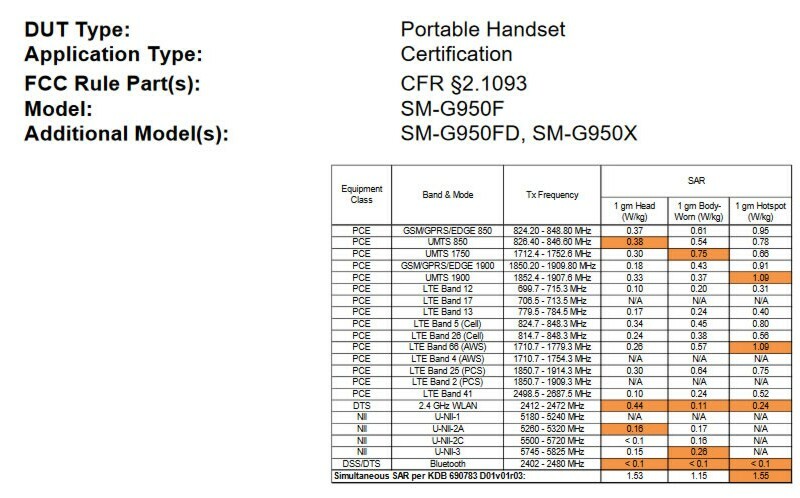 The SAR for simultaneous transmission (cellular plus Wi-Fi) for the Samsung Galaxy S8 is 1.53 w/kg at your head, 1.15 w/kg when worn on the body, and 1.55 w/kg when used as a hotspot simultaneously with all other transmitters active. The minimum separation distance for body-worn testing was 15 mm, that requires a smartphone user to maintain over 1/2 inch minimum separation (15 mm = 0.59 in) for SAR safety compliance.